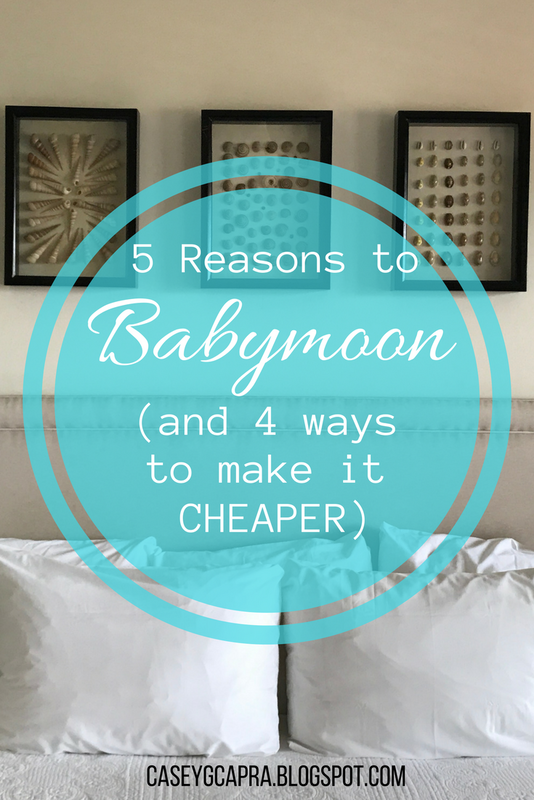 I know "babymoons" haven't always been this super trendy thing, but I can't understand why! Getting away for a quick weekend before the Little Dude gets here was one of the best things we have done to get ready (arguably the best thing! Read about it here!). Why should you go on a baby moon before your first kid makes his/her entrance?? In the stress and unknown of getting ready for a baby, it's easy to be too intentional with the registry and not intentional enough with your #1. Getting away gives you an opportunity to ask, "How are you really doing?" It gives you the chance to communicate about fears, dreams, excitement... all within the context of feeling unified and connected before this new, little person commands all of your attention. Pray together. Talk about what you thing this little one will add to your life. Get some insight into how your Someone is really thinking and feeling about this new addition coming soon. 2. A time to enjoy the "adult pool"
Whatever it is, you'll be glad that you soaked up the little luxuries that won't be possible or practical later on. which is why you should invest in it while you have this much time! 😉 You might be "babymooning," but doing those little things that make your spouse feel loved will make it feel like a second honeymoon. And this doesn't mean you need to shop for some bump-friendly lingerie before you go. Intimacy is achieved in so many ways; get creative! Just let your spouse know that you know them and appreciate them. Your relationship is THE most important thing in your home. A clean house and material necessities are important, but more than anything, bringing a baby into the world with a strong relationship between you and your man is the best thing you can do for your little one. Prioritizing your connectedness before baby gets here will not be a waste of time. Don't go "all out" on everything. Choose to do that on the things that would be most meaningful. Are ya'll foodies? Save the dough for some great food. Are you two explorers? Find some (pregnancy-safe) excursions or tours to take. Don't feel like walking around on those swollen ankles? Plan on a location that has lots of taxis or Ubers. Invest in what will be most relaxing and encourage the most quality time for the two of you. My husband is alllll about the food, so I knew that we would spend more money on good food than memorabilia or spa treatments. I have not personally stayed at an AirBnB, but I have heard so many good things from people who have! This would be a great solution for going out of town for a quick weekend, if you aren't planning on staying in your room much anyways. You can find places in a city or near the beach and spend your entire day out exploring! Remember why you're doing this! Location is not as important as the two of you being able to relax. You may not be want to spend a lot on the location, but you can still choose somewhere you can prop your feet up! Stay with friends or relatives, and take a couple days slow. You don't have to go to a spa resort to feel rested and refreshed. Did you miss out on our fabulous babymoon here? "Babymooning" in the Outer Banks!